I’ll make it up as you go. I sang this for years just on bass, solo. It was a little more haunting then, but so nice to hear it now brought to life by the energy of bandmates and friends. This has become my epitome song for the “Tortilla Western” sound I’ve been creating the last several years; part spaghetti western, part Tex-Mex, & rock. A sound I don’t hear very much, and so songs I had to write & sing to fill the void. The Southwest has a definite soundscape to it (more on that soon…). Trumpet is by Al Gomez- (Westside Horns) in San Antonio, flamenco guitar David Gonzales. 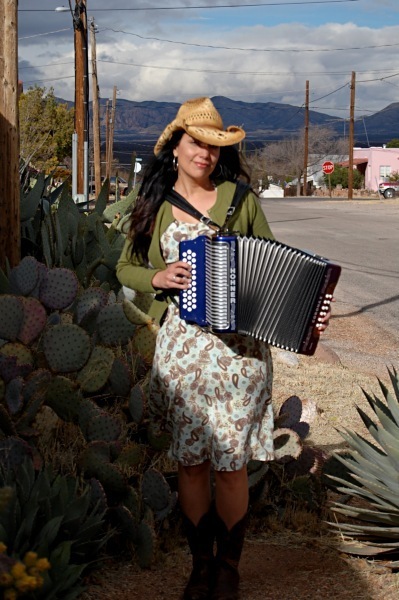 Recorded at Wavelab Studios Tucson by Craig Schumacher (Devotchka, Neko Case, Calexico).